Longtime American River College student Nathan Bauer, 33, died in his home from respiratory failure on Oct. 22. Bauer had attended classes at ARC for the past 10 years and had switched majors multiple times before finally deciding to pursue a journalism major in his final semester. Bauer was a staff writer on the AR Current. 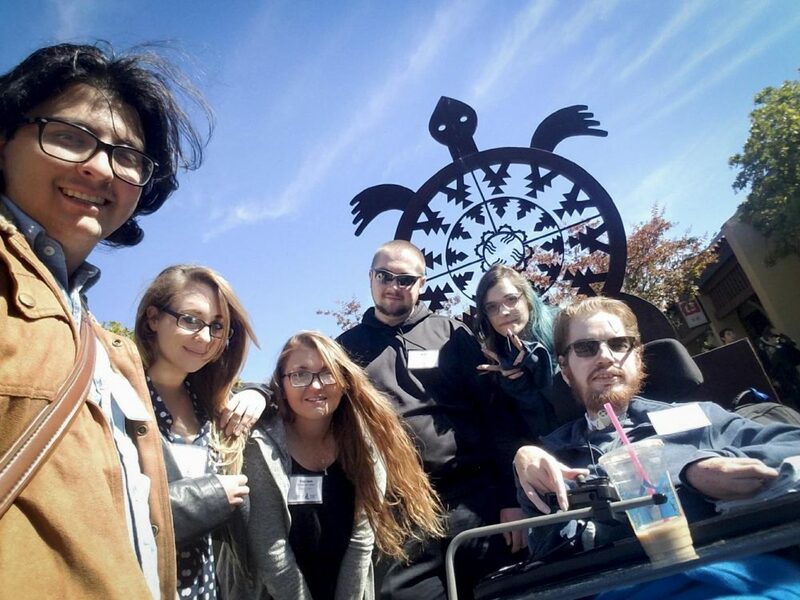 On the day before his death, Bauer attended the annual Northern California Journalism Association of Community College Conference in Cupertino, California with his classmates from The Current. He had told his colleagues that he had finally found his true passion and was planning on finding a career in the journalism world after he graduated. According to Sherri Bauer, Nathan Bauer’s mom, she believed her son had finally found something he could do independently. Bauer suffered from a lifelong condition called spinal muscular atrophy. This condition caused much of Bauer’s body to be paralyzed. By the age of 33 he only retained the movement of two fingers. Maybe add a sentence here: That didn’t stop him from pursuing journalism, however. Bauer had found a strength on The Current in opinion writing. He used his firsthand experience of the difficulties of navigating campus to call for ARC to improve its handicap accessibility. And Bauer was a bit of an expert in accessibility. Bauer actually became the youngest person in Sacramento to ever be prescribed a motorized wheelchair. When doctors first told Sherri of Nathan’s condition, he was only 7 months old. Doctors told her that the most-likely scenario would be that Nathan Bauer would only live until the age of 2 or 3. Sherri Bauer said she made it her life’s goal to make sure that Nathan Bauer not only beat his initial prognosis but that he had as normal as life as possible. Nathan was a passionate writer with a constant stream of ideas, and would pursue his stories with the drive of a true journalist. Bauer’s steady stream of witty, sarcastic jokes and passion for journalism brought light to The Current newsroom, as well as in his other classes. Theater professor Pamela Downs struck up an especially strong connection with Bauer after he decided to enroll in a few different performing arts classes. “From the beginning I didn’t see him just as another student I saw him as the warrior that he is,” Downs said. Downs added that Bauer’s character and strength of will are things she won’t soon forget. “It’s not the cards that you are dealt with, it’s how you play them and he was an example for everyone,” Downs said. Bauer’s legacy was honored with a celebration of life ceremony on Oct. 28 where his friends and family gathered in Hagan Park. The ceremony concluded with dozens of colored balloons being released into the sky. Bauer’s last Facebook post before his untimely heart attack ended with a statement about the current state of national affairs. “I don’t know, but I do know that I love my country, and I want to see it be a better place. I don’t deny we have flaws, but I believe with hard work, patience and more understanding we can overcome them. Maybe I’m naïve, but hopefully in the best possible way,” Bauer said. According to Sherri Bauer, Nathan Bauer lived by the latin phrase ‘carpe diem,’ meaning seize the day. And seize the day he did. Rest in peace, Nathan. Thank you for being in our lives and for everything you did for our paper. 1 Comment on "Obituary: Remembering Nathan Bauer"
Nathan was a good man. 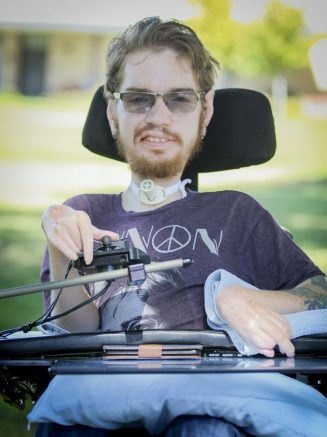 He had a passion for helping disabled people and especially the disabled. He interviewed me on October 20,2017. We talked about helping disabled students and some of the problems they encounter. We both bounced ideas off of each other and I know that if he could, he would have done a lot more for everyone. RIP Nathan.